David Price was once again excellent in a pivotal postseason game for the Red Sox. 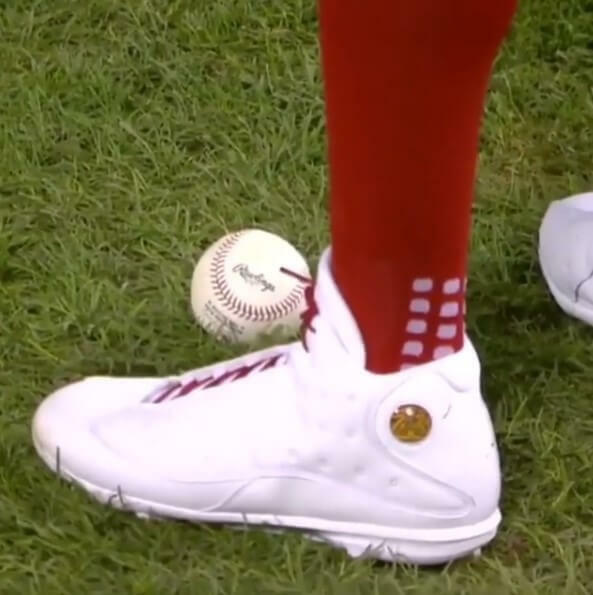 He won his first World Series game in these Jordan 13 PE cleats in all white, along with Trusox. Price’s all-whites are exclusive to the Ace, but you can shop two different colorways of the Jordan 13 cleats, which just recently released, at this link. Categories: Gear, Cleats, Boston Red Sox, Pitcher, David Price.